Home / Articles / What's Involved In Becoming A Medical Insurance Specialist? Medical insurance specialists, also known as health insurance specialists/coders, make sure the doctor’s office is properly reimbursed by the insurance company. It's up to you to submit the claims. 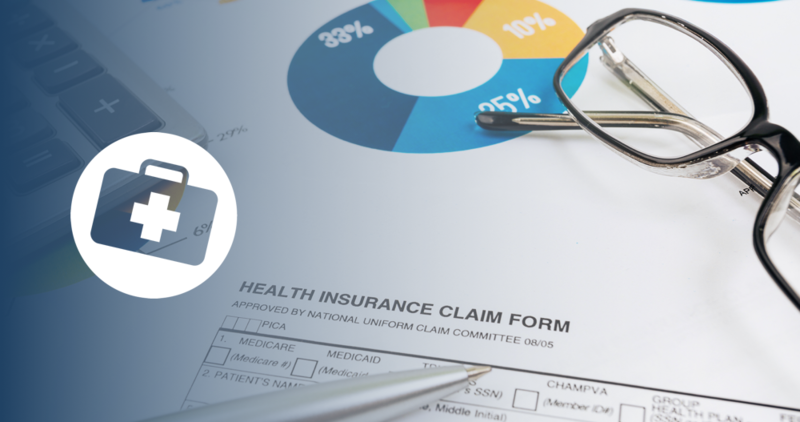 You’ll handle a variety of other financial elements for patients and take care of every detail of medical billing. Medical insurance specialists spend the workday calculating medical bills to prepare claims. You have to update patient paperwork and verify their coverage from the insurance company. You will communicate closely with the insurance companies as well as speak with the patients to make them aware of their medical benefits. You have to be knowledgeable about all aspects of regulations and coding procedures, so the money goes where it needs to. You may also have front desk duties such as greeting and checking in patients for the office. What Kind Of Classes Will I Need? Certified medical insurance specialist courses are usually offered through vocational school and community colleges. Employers show preference to those who hold an associate degree, which usually takes two years to get. The certified medical insurance specialist program will prepare you to process insurance claims, understand medical terminology and medical coding, handle or reject claims, and ensure compliance with the medical insurance industry. Common courses that are offered are Insurance Processing Techniques, Current Procedural Terminology, Medical Terminology, Medical Ethics, and Anatomy. These are just some of the courses required to become a certified medical insurance specialist. It is advised to major in medical billing or coding, health informatics, or health information technology. There are also bachelor’s and master’s degree programs available, which would help with career and pay advancement. There is a certification required which is given through the Practice Management Institute. Study options are available online, but the exam must be taken in person. There is also a credential available for those who work in a doctor’s office, which is taken through The American Academy of Professional Coders. You must have two years work experience prior to taking the exams. What Is A Medical Insurance Specialist’s Salary? Medical insurance specialists’ annual median salary is $39,180, according to the Bureau of Labor Statistics. Entry-level median salary is $25,810, and the top 10 percent earn $64,610 annually. The top industries for highest salaries are professional, scientific, and technical services. The lowest paying industry for medical insurance specialists is in the doctors’ offices. The job outlook for medical insurance specialists is expected to grow 13 percent through 2026, which is faster than the average of all occupations. Those who hold certifications such as the Registered Health Information Technician or Certified Tumor Registrar will have the best job prospects. The information you learn and new tasks you can pick up through certifications are a great way to keep the career you’ve picked and enjoy fresh and interesting!